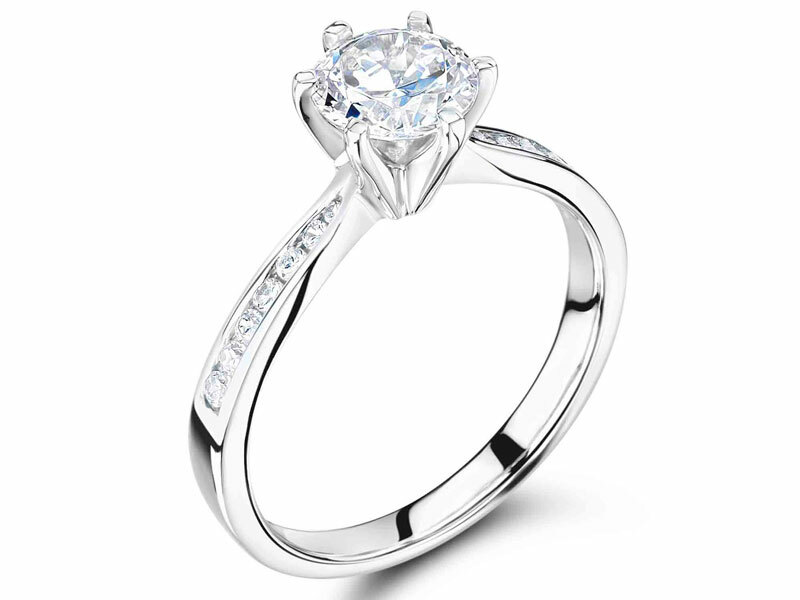 This classic round cut diamond set into a six claw setting is teamed with contemporary channel set diamond shoulders. Channel set diamonds are held by the tension of the metal on either side creating a clean look to the stones. This ring can be made for budgets starting from approximately 1,500 euro, and can be set into 18k yellow, rose, and white gold, and platinum. The band is tapered and can also be pave, scallop set, or plain if preferred. Love one of our rings but want to discuss a modification? We are delighted to discuss your ideas and quote for bespoke styles. You might simply want to have your dream ring made in two metal colours to make it extra special. Come and visit us at our beautiful and relaxing offices in Dublin 2.